This is the Pulse 7.4V, 2550mAh Ultra Power Series Li-Poly Receiver Battery Pack. 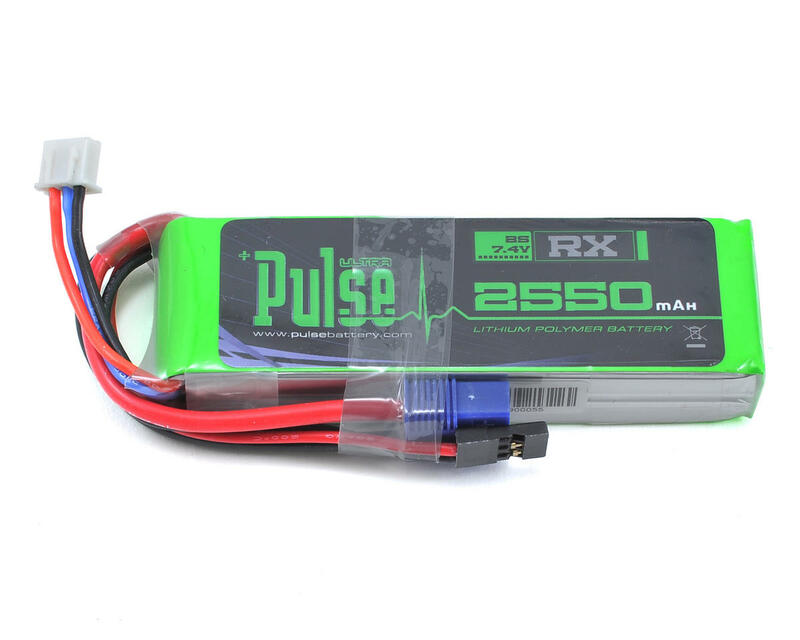 Pulse receiver batteries bring power, performance and value to the RC scene, allowing you to select the receiver pack of your choice at a cost & performance level that sets a new industry standard. 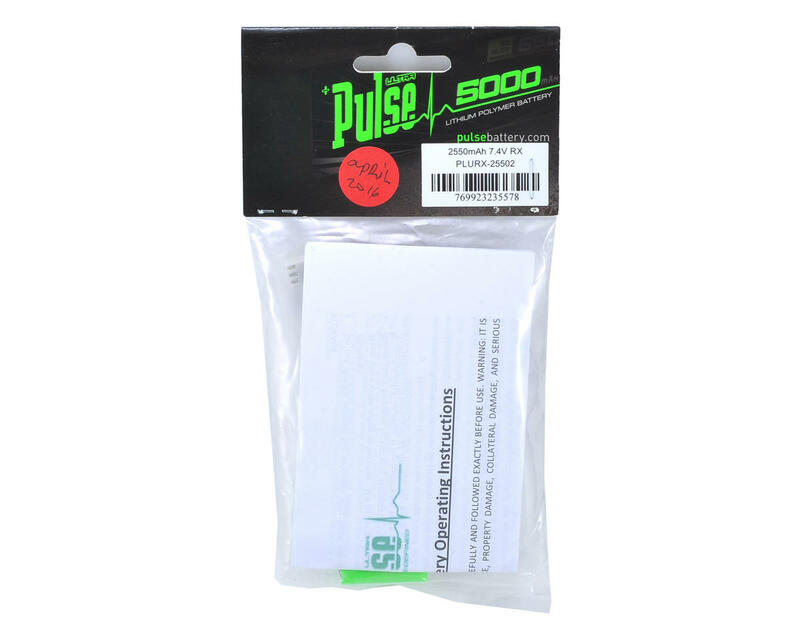 Available in 2250mah, 3600mah and 5000mah packs 2S 7.4V, Pulse has you covered with a receiver pack that will not only fit your budget, but also your aircraft as well, allowing you to push your flights with a pack that will perform. Pre-soldered with connectors allowing the battery to be plugged directly into your receiver, Pulse Ultra receiver batteries are ready for flight - choose what fits you! Great battery for M12 transmitter! Perfect fit. I can go weeks without charging my transmitter. Comes with 2 different connectors to plug into transmitter and also charge at high C rating.